With the Rio Olympics only a few weeks away it’s time to focus on some of the great rowers who will be there. Six minutes may not sound like a very long time, but for the hundreds of Olympic rowers competing in Rio next month, a few six-minute heats or qualifiers, followed by a high-pressure final will be the culmination of years and years of work. Technique is obviously a high priority, but the chief prize-winning attribute is an immunity to pain. Usain Bolt and his colleagues run 100 metres in 10 seconds or less: there’s no pain involved unless someone pulls a muscle. Boxing, wresting and marshal arts are all painful, but there are breathers. Rowing may be the only sport that starts with a sprint and then demands a sustained combination of sprint and near-sprint for a relatively long time. The US women’s eight will be heading to Rio hoping to repeat gold medal wins at the Beijing and London games. Photo courtesy of USRowing. Possibly the closest thing to a 2000-metre rowing race in the Olympics would be the 800-meter track event, which is a sprint pretty much the whole way. The difference is that an 800-metre race lasts about two minutes, while a 2000-metre row in an eight-oared shell takes six minutes. That’s a lot of ouch. If you want more pain, row a smaller shell that takes more time to cover that 2K. For more on the boats and basics of all this, read the boats.com boats.com Olympic Rowing guide. It takes a special kind of athlete to put himself or herself through the incredibly dense and protracted training regimen to get on the path to the Olympic Games and stay there through the gruelling selection processes. There will 14 rowing events and over 500 rowers at the Olympic games this year. Here’s a sampling of athletes who have made the cut and who will be in Rio, representing their countries at the apex of the sport. While US rowers have won their share of medals over the years, there’s no such thing as a shoo-in for an American boat, given the powerhouse rowers of Europe and the Antipodes. The closest thing to a recent American dynasty is the women’s eight, who won gold at Beijing in 2008, and again in London in 2012. In fact the women’s eight have won every world championship and Olympic race since 2010. How will they do in Rio? 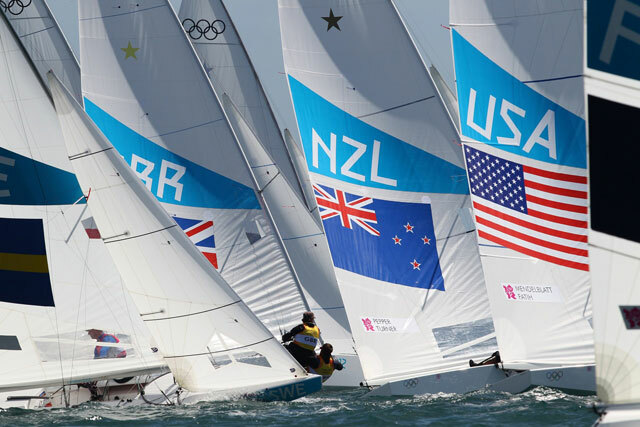 They’re favoured to win again, with two returning Olympians, Eleanor Logan and Meghan Musnicki, and an experienced and dynamic coxswain, Katelin Snyder, replacing veteran Mary Whipple. The U.S. Women’s Eight will be heading to Rio hoping to repeat gold medal wins at the Beijing and London games. Photo courtesy of USRowing. Helen glover and Heather Stanning are a powerful, synchronised team. They haven’t lost an international championship since 2011, and took the gold together at the London games in 2012. 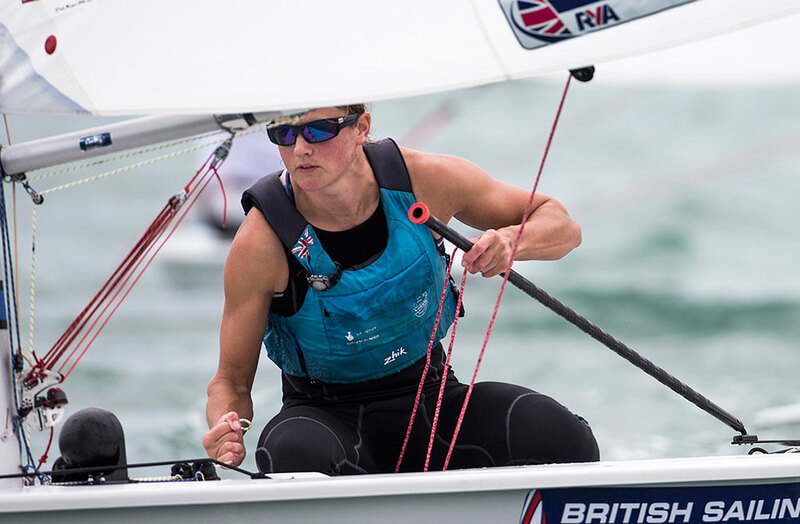 At the beginning of 2016 Stanning had to take time off from rowing to work at her day-job as a captain in the Royal Artillery, but she returned to row with Glover at the World Rowing Cup in Poznan, Poland in June. They took the gold, and will be headed to Rio under a full head of steam. Helen Glover, left, and Heather Stanning are Britain’s hope for gold in the Women’s Pair. Photo courtesy of British Rowing. The individual and average weight limits in lightweight rowing often make for tight competition, and nowhere is it tighter right now than in the men’s lightweight fours heading into the Rio games. Denmark and Switzerland have been the dominant crews in this event recently, but at the World Rowing Cup in Poznan in June the Kiwi crew of James Hunter, Alistair Bond, Matthew Dunham, and James Lassche stormed to the gold, with Denmark second, Great Britain third, and the Swiss missing due to a sick crewmember. In fact New Zealand swept up 10 medals in 10 events at Poznan and went home as the top national team. They’re no doubt whetting their appetites for more metal in Brazil. 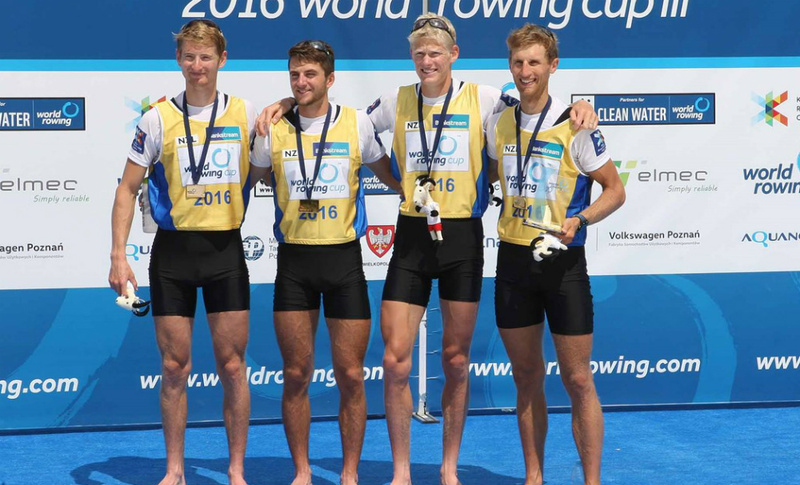 New Zealand’s lightweight men’s four are at the top of their game going into Rio, with fierce competition to look forward to. 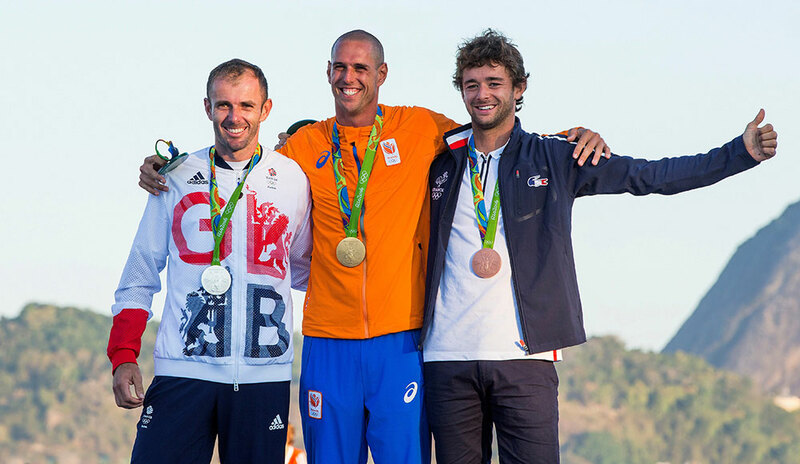 Photo courtesy of World Rowing/FISA. 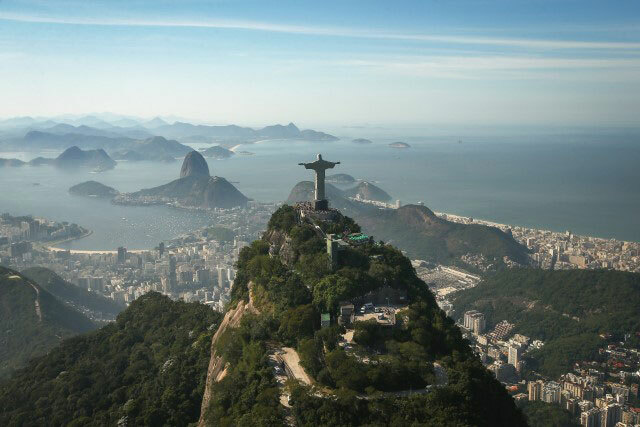 Kimberly Brennan is coming into Rio at the top of her game, having won the women’s single scull World Rowing events at both Lucerne and Poznan leading up to Rio. At 1.88m and 75kg (6ft 2in and 165lbs), the 30-year-old Aussie is a veteran of high-level competition. Among all the rowers at the 2012 London Olympics she was the only one to row in two events — single sculls, in which she won bronze, and double sculls in which she won silver with partner Brooke Pratley. 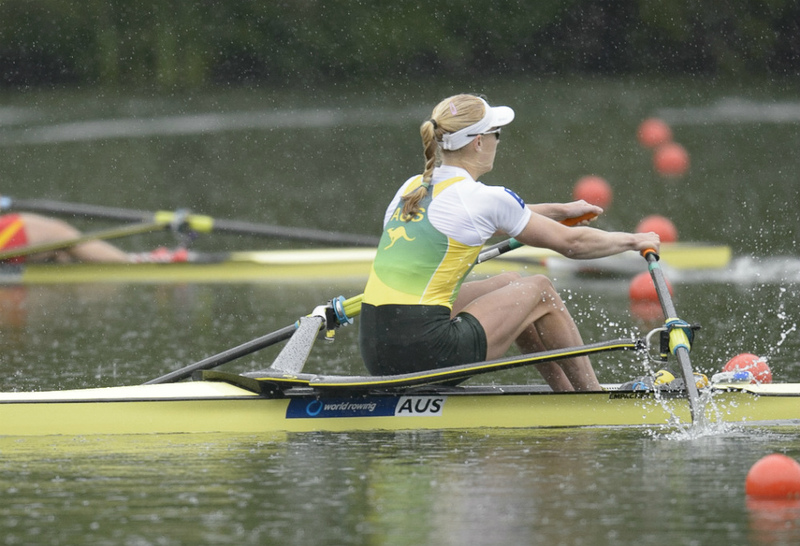 Australia’s Kimberly Brennan is a powerful and experienced sculler. 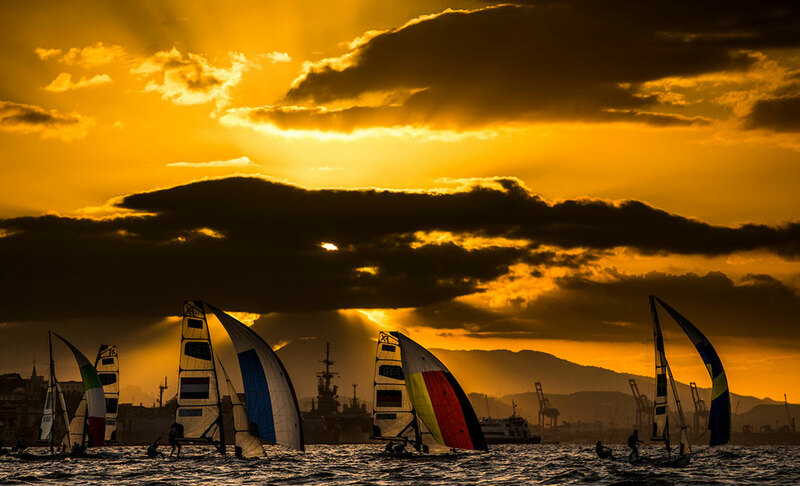 She’s coming into Rio at full throttle. Photo courtesy of USRowing. In her other identity, Brennan is a trademark and intellectual property lawyer in Canberra. 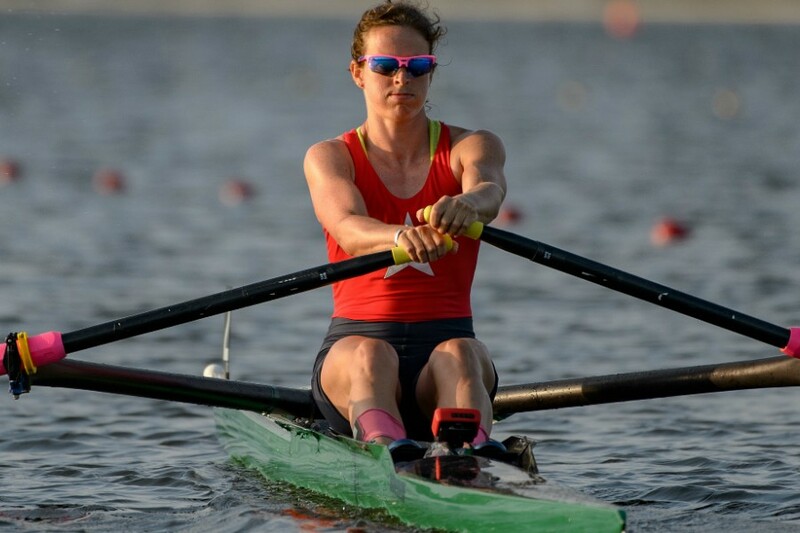 It would be great to see her meet American sculler Generva "Gevvie" Stone (1.83m / 71kg; 6ft / 157lb) in the finals. Stone, whose parents both rowed on the US national team in their day, has a medical degree and is aiming to go into orthopaedic surgery. Doctor v lawyer, Northern hemisphere v southern. Yin v yang? 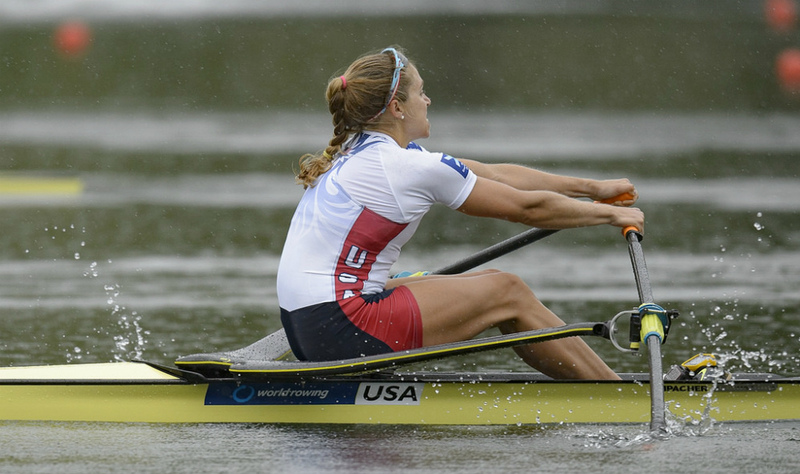 US single sculler Gevvie Stone at the World Cup II finals in Lucerne, where she took silver behind Kimberly Brennan. 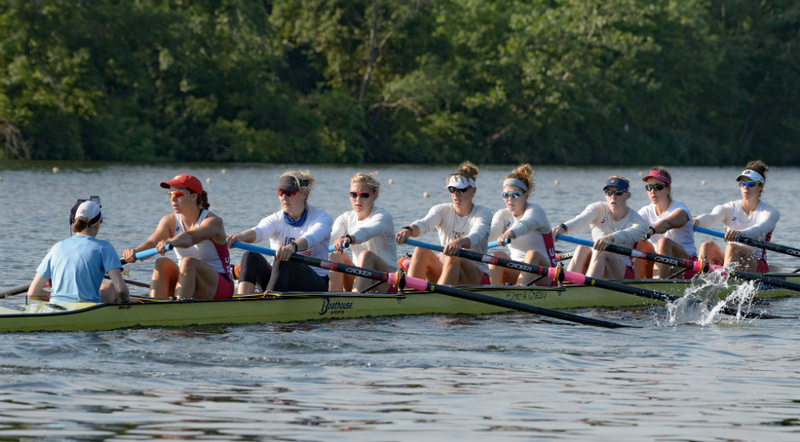 Photo courtesy of USRowing. Croatian brothers Valent and Martin Sinkovic have been rowing together in international regattas since 2008, and hold the world-record 2000-metre time in a double scull: 5:59:72, set at the 2014 World Rowing Championships. In the London Olympics of 2012 they were two of the rowers in the Croatian quadruple scull that won silver. 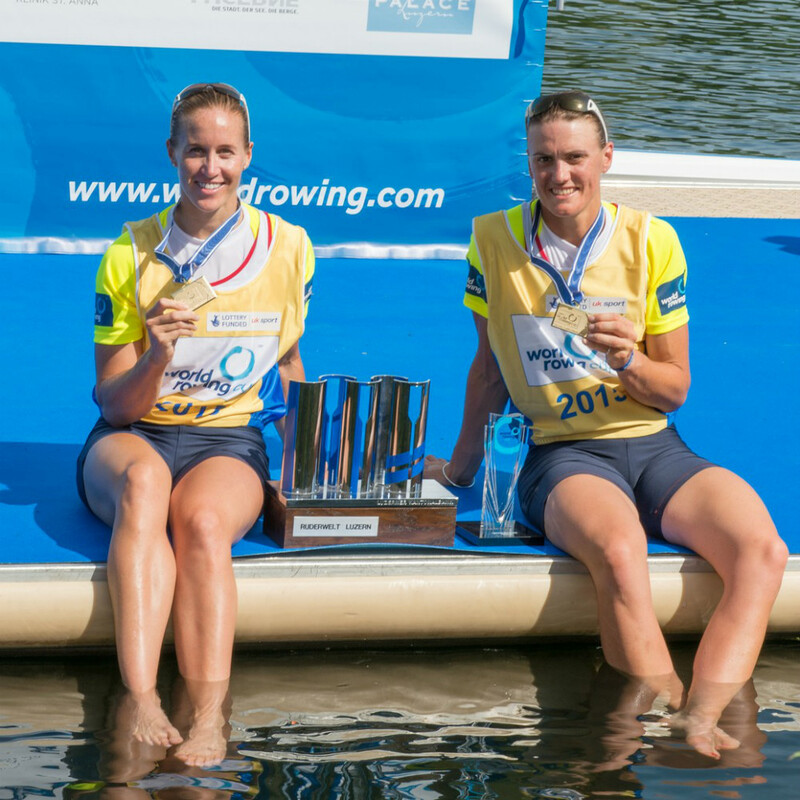 Back in a double they took gold at the Lucerne World Rowing regatta this spring. Valent has said that both quad and double-scull rowing require “speed, aggressiveness, and precision,” and that he and Martin know exactly what the other one is thinking and there are no misunderstandings. In a double scull, that’s an important asset. They’ll be hard to beat in Rio. Croatian Double Scull brothers Valent and Martin Sinkovic are a well-coordinated duo who have been rowing together a long time. 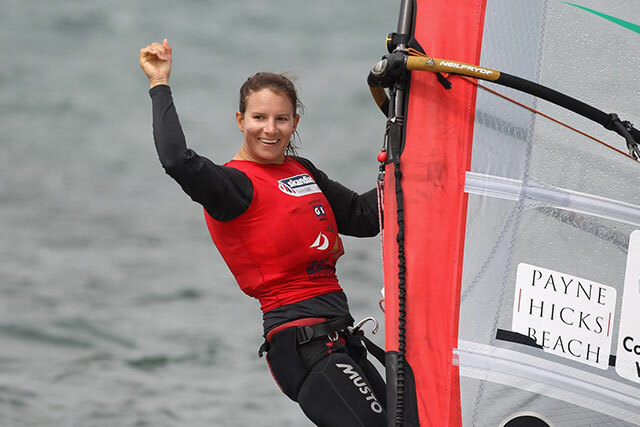 They’re shown here having crossed the finish line at the World Cup II regatta in Lucerne, where they won gold. Photo courtesy of USRowing. Congratulations to all the Olympians competing in Rio. It would be hard to imagine a more exciting time for an athlete. Olympic rowing races will be Saturday, August 6 through Saturday, August 13. Here’s a quick list of links to online resources for those of us who will be watching remotely.